Český návod: Aktualizujte svůj Windows Phone na Mango ihned! 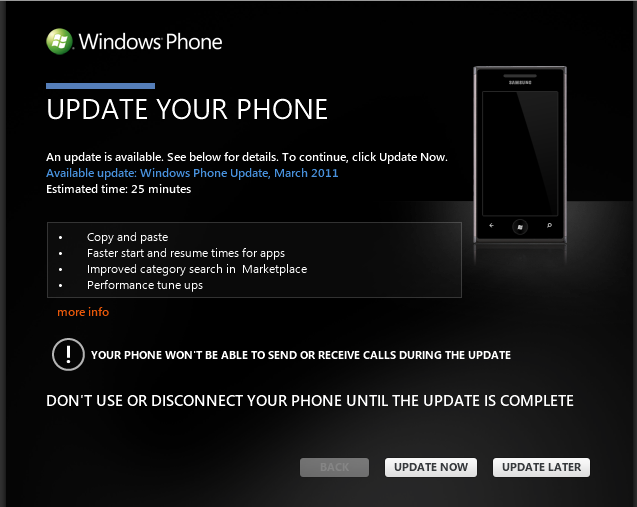 Note for English speaking readers: If you want to force your Windows Phone to Mango right now, you can! The English instructions are here. 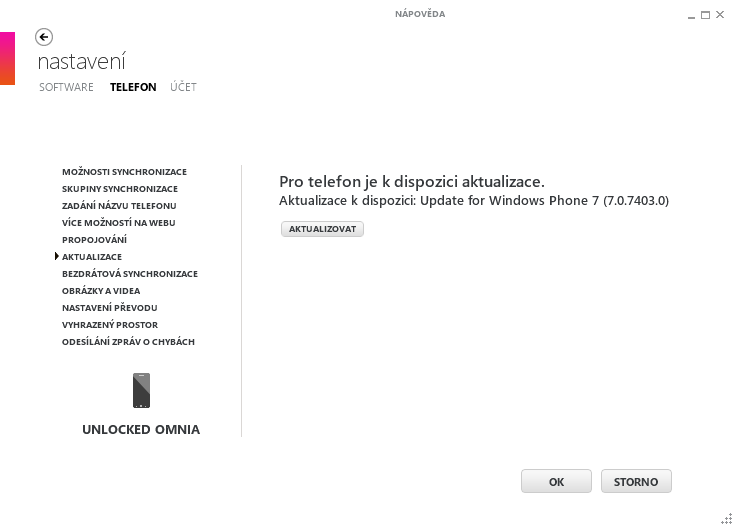 Včera začal Microsoft distribuovat dlouho očekávanou zásadní aktualizaci Windows Phone – verzi 7.1/7.5 s kódovým jménem Mango. Update je však rozloženo do několika týdnů a jen asi 10% uživatelů bylo nabídnuto hned první den. 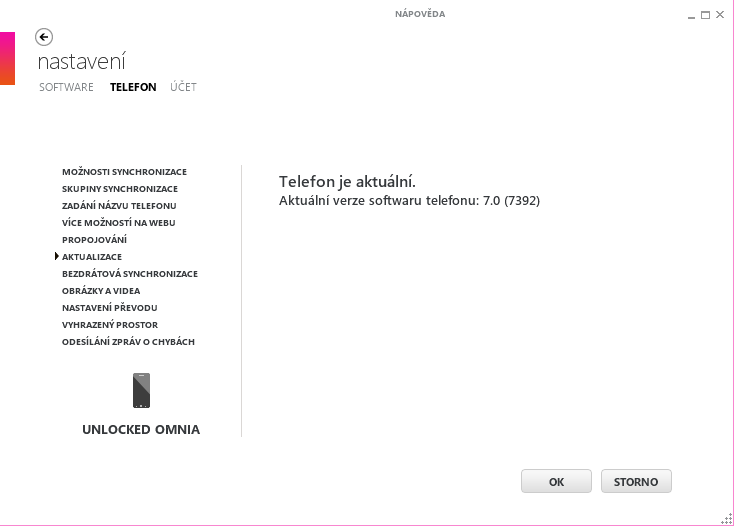 Naštěstí existuje jednoduchý způsob, jak váš telefon k update přinutit. Protože je součástí update zálohování obsahu paměti telefonu, které může trvat desítky minut, doporučuji před aktualizací odstranit z mobilu hudbu a odinstalovat nepoužívané aplikace. Připojte telefon k počítači. Spustí se program Zune. Vyberte Telefon -> Nastavení -> Aktualizace. Pokud je zde k dispozici update, už na vás došla řada a prostě je potvrďte. Pokud vám Zune stále tvrdí, že je váš telefon aktuální, pokračujte dalším bodem. Zvolte z levého menu Zune jinou volbu, např. Bezdrátová synchronizace. V této chvíli musí být váš počítač připojen k internetu. 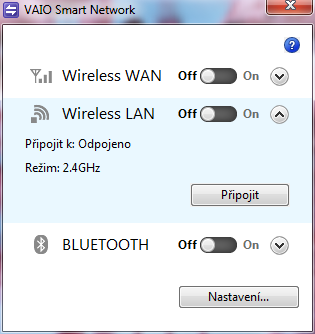 Připravte se na jeho rychlé odpojení, například vytažením ethernetového kabelu nebo vypnutím WiFi hardwarovým tlačítkem. Klikněte opět na položku Aktualizace a asi sekundu poté odpojte počítač od internetu. Pokud budete mít štěstí, Zune vám nabídne aktualizaci. Počítač opět připojte k internetu a aktualizujte. Při neúspěchu bodu 5 opakujte body 4 až 5 stále dokola. Chce to trpělivost, mně se to podařilo až asi na dvacátý pokus, jiným napoprvé. Protože se před Mangem (build 7720) musí nainstalovat aktualizace 7392 a 7403, je možné, že budete muset celý proces několikrát opakovat, jak se to stalo některým lidem v zahraničí. Já jsem už měl nainstalován build 7392, nabídlo se mi update na 7403 a po něm se automaticky nainstalovalo Mango RTM 7720. A užívejte si Mango, které je opravdu chutné! Všechno ve vašem telefonu bude najednou fungovat lépe a první dlouhý stisk tlačítka Zpět (multitasking) je opravdu zážitek. Jediné zklamání, které mi update připravilo, bylo uzamčení mého zcela legálně, avšak nestandardně, odemčeného telefonu. Nové odemčení je pro mne poněkud komplikovanější, neboť ještě nejsem registrován jako český vývojář. Ale to jsem stejně v nejbližších dnech plánoval udělat. Naopak velmi příjemným překvapením je česká klávesnice. 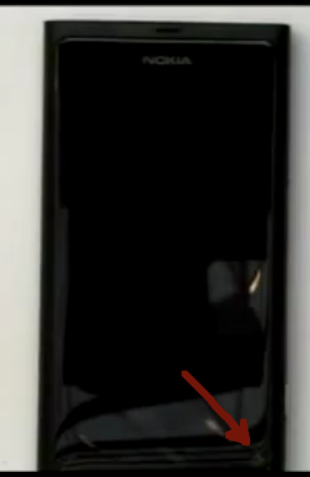 Domníval jsem se, že bude k dispozici jen na nových telefonech, ale update ji přineslo i na ten můj. Váš build 7392 je aktuální, Mango pro vás nemáme! ...rychle odpojit od sítě! Myslím, že jsem uspěl, když jsem to udělal asi po půl sekundě. Po nainstalování 7403 se automaticky začala instalovat aktualizace 7720, tedy vlastní Mango. Záloha telefonu znovu neproběhla. Mango je Windows Phone 7.1, Microsoft je nicméně marketuje jako 7.5. Nenechte se tím zmást. 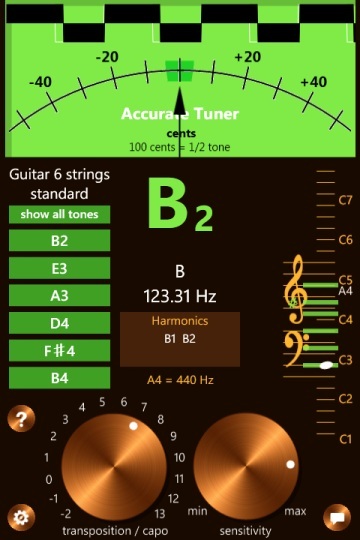 My new app has found its way into the Windows Phone Marketplace. 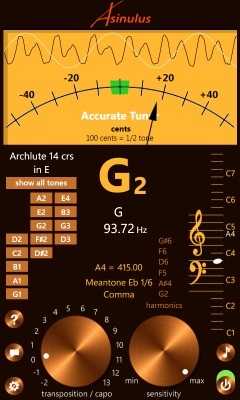 Accurate Tuner is a chromatic instrument tuner, which combines two classical pitch tuning methods: Needle and stroboscope. 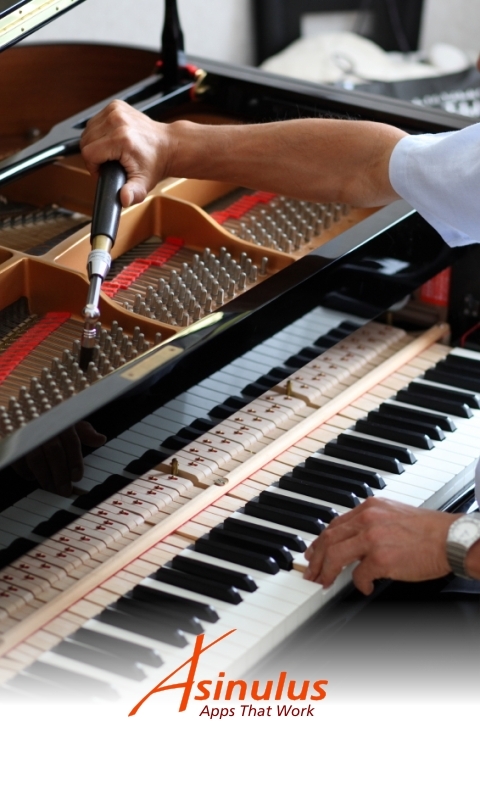 The needle enables fast and comfortable rough tuning, while two optional stroboscopic animations facilitate fine tuning. Both methods are used at the same time, so you are not forced to choose just one of them. 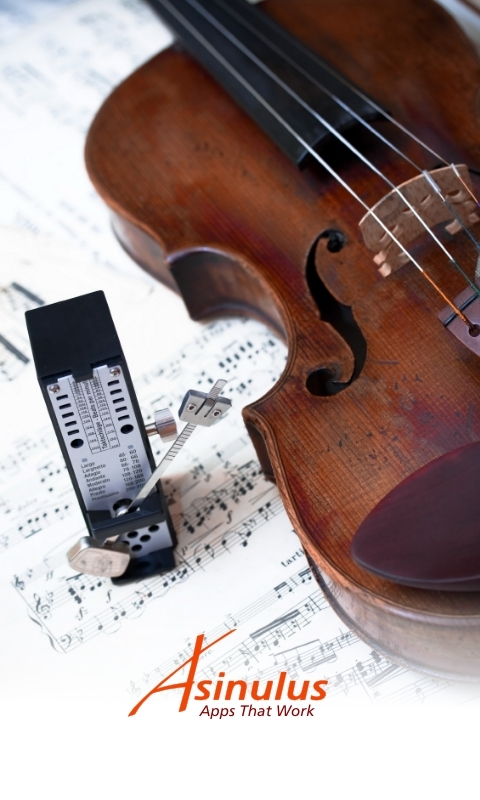 Detected notes are shown on a musical staff with highlighted positions used by a selected musical instrument. Adjustable sensitivity may help in not so quiet environments. With an integrated help system you won’t end up lost. 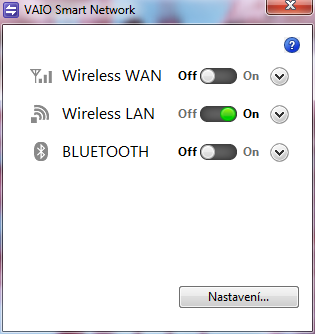 Advanced settings take care of specific needs. It is simply worth a try. Download this free beta now! 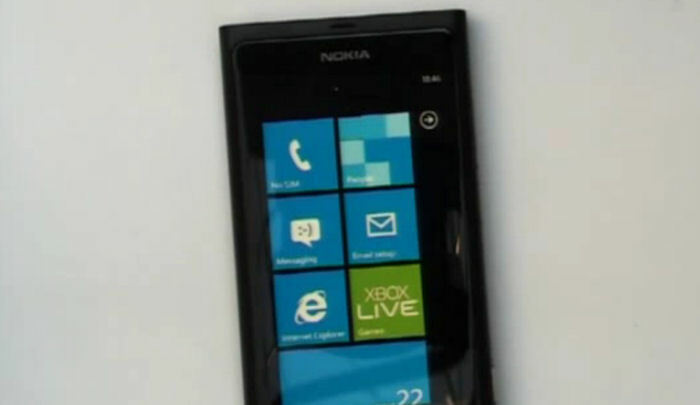 Windows Phone 7.5 Mango coming in August? Japan server Nanapho.jp brought the news that the first Mango handset should be Fujitsu IS12T and that it’s coming in… August this year! 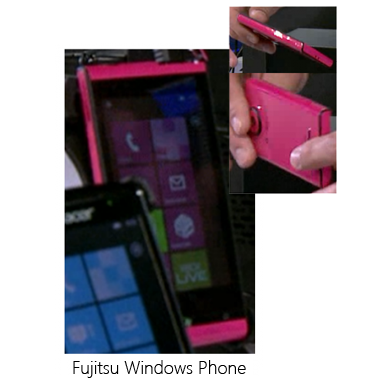 Tezawaly from Nanapho.jp has come across and article in Nikkei reporting on Fujitsu Toshiba’s first Windows Phone 7 handset, the Fujitsu IS12T. 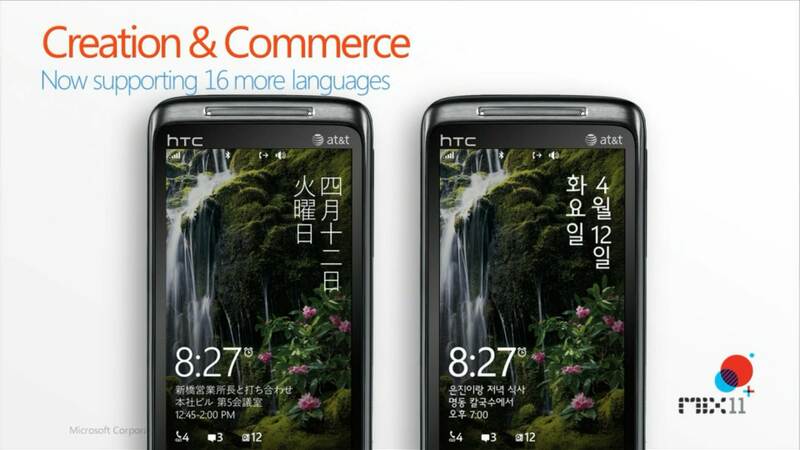 The handset has already passed through the FCC and Bluetooth Certification and will be launching on the Japanese carrier KDDI. …Even more unexpected however is that Nikkei says the handset will be launched in August, and will be the first Mango handset launch worldwide. Perhaps the most interesting feature of this phone is that it is water resistant. To be honest, I have always felt that Microsoft targets rather Back to School than Christmas season with Mango. It just makes sense. But, of course, I am perhaps too optimistic. Mango wants you to love it, dear customer! Fingers crossed. New app has been submitted to the Marketplace. Guess its purpose from its splash screen! 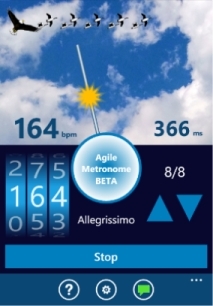 Agile Metronome is still in a beta stage and during its six weeks in the Marketplace it received 35 reviews with average rating of 4.29. Thanks to all who rated it! But I feel that my new app won’t be so appraised, because this kind of apps traditionally receives quite low average ratings. 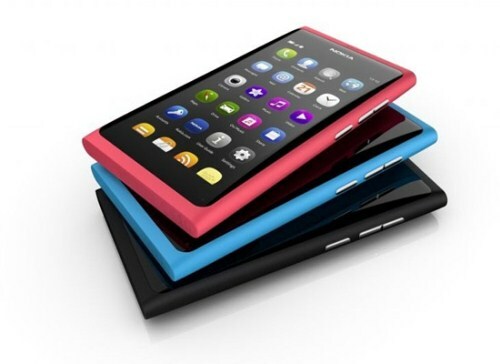 It has its reasons – these apps are usually hard to develop and hard to use. I know all the reasons, but it does not mean I know the remedies. I am trying to change the trend and make this app really usable. 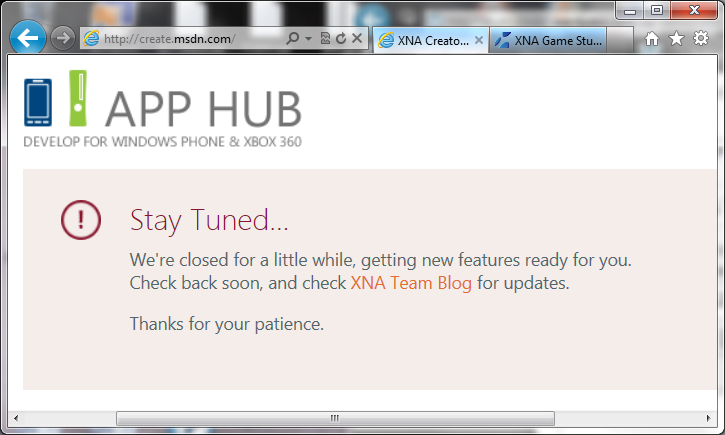 This new beta is not exactly there yet, but I hope it’s the step in the right direction. It is going to be available in several days for your kind testing! Move to a green country. Ask a developer living in a green country. Ask some other non-developer friend living in a green country. Use unofficial unlocking tool ChevronWP7 (available here) and distribute your apps by your own means outside the Marketplace. Use services of a Marketplace Publisher. Or the option 2 – a foreign company. I could quite easily establish a Ltd in the UK. Sure, it’s more expensive than a yearly marketplace fee $99, but still affordadble. But it is almost impossible for a non-UK resident with no business history to get a British bank account. I could easily get an Austrian bank account, but I wasn’t able to discover if both the company and its bank account must be in the some country or not. I haven’t found the answer on Microsoft web pages, asked several wise people including Microsoft employees, but nobody knew the answer. It would be stupid to try it blindly. By the way, you can pay for WP7 apps by the MoneyBookers British MasterCard from a lot of countries, but MB account cannot be used for receiving money. The options 3 and 4 in short: It is a lot of work to maintain your apps in the marketplace. 5 – good for a lot of things, but not for making real money. So the only viable option is a publisher. 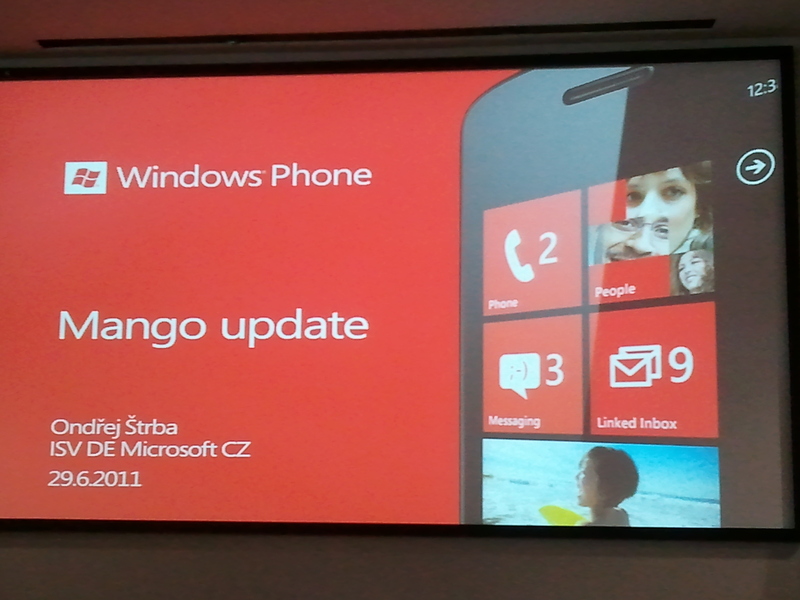 We know Marketplace is coming to Czech Republic with a Windows Phone Mango update soon. Mango is coming this fall, although considering the NoDo update execution the fall 2012 is a better bet. Just kidding. Microsoft Czech Rep. says devs could expect the Marketplace access this summer. In short: The best case is July 2011, the worst some time next year. Activate your account by paying $99 for the first year. You get 100 credits in exchange. Order the unlocking of your phone. The first gallery covers the user registration process step by step. 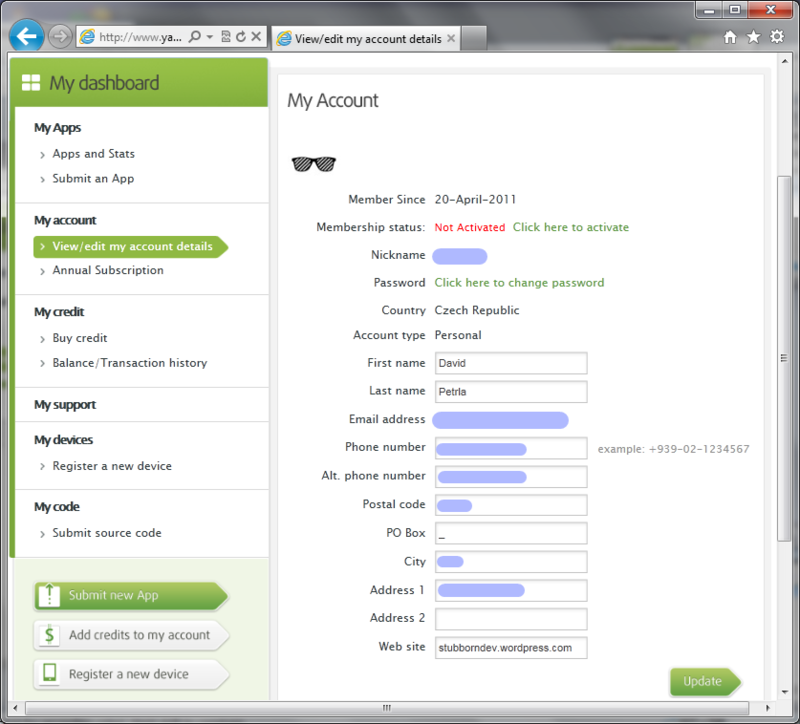 After the registration, this is your user dashboard. Notice which fields you can and cannot edit. The next step is to activate your account and unlock your developer phone. MIX 2011 Day 2 Keynote presented by Joe Belfiore and others was full of information about the upcoming Windows Phone update, codenamed Mango. For me, the most important piece of information was the list of the new countries supported by this much anticipated release, planned for autumn 2011. Or, to be precise, not the list, but map… in fact several maps… shown for a few short seconds. You can click on screenshots to see their fullscreen versions. This asian calligraphy is so beautiful, isn’t it? New languages come here – sorry, I won’t try to identify all the languages, but you can try to find your own. I was happy – there is a Czech “Hello World” – “Ahoj světe”. 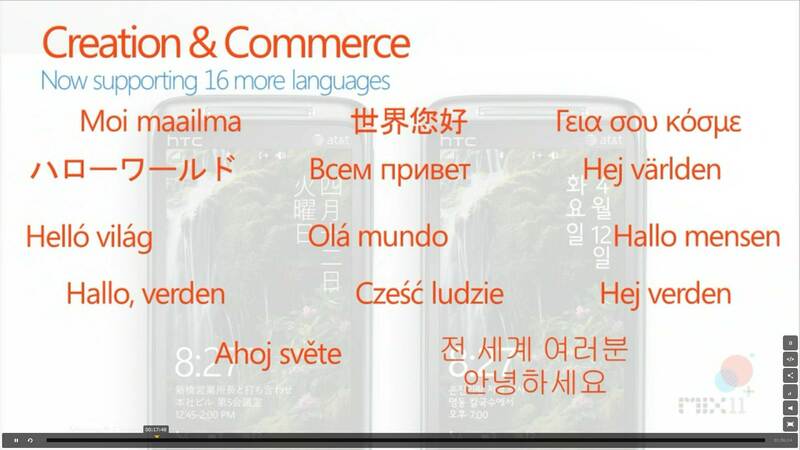 The interesting point is that the slide shows 14 languages, but claims 16 in the title, so there are two missing. The rest of the world can still hope! You can also see the time when this keynote section begins – at cca 17:30. 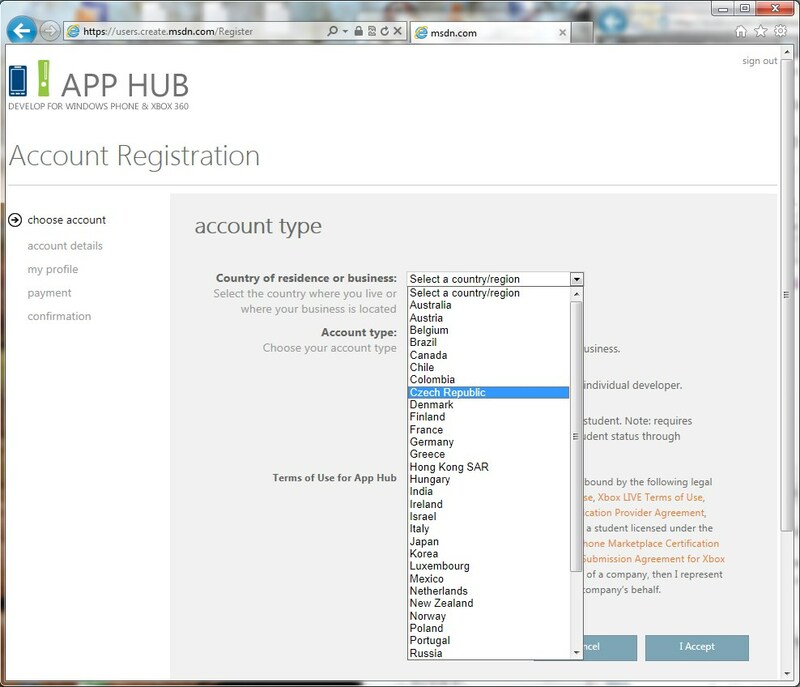 One not widely known fact about WP7 is that there are two marketplace countries lists – for selling and buying. They are very different today and the number of countries able to sell apps is much higher than the number of countries able to buy apps. This will somewhat change with Mango and the buying list will grow more, so the difference between the two lists will diminish. One more important thing to note is that we are talking about buying and selling apps only. Music and other content availability is and will remain much more limited, because of the distribution rights. 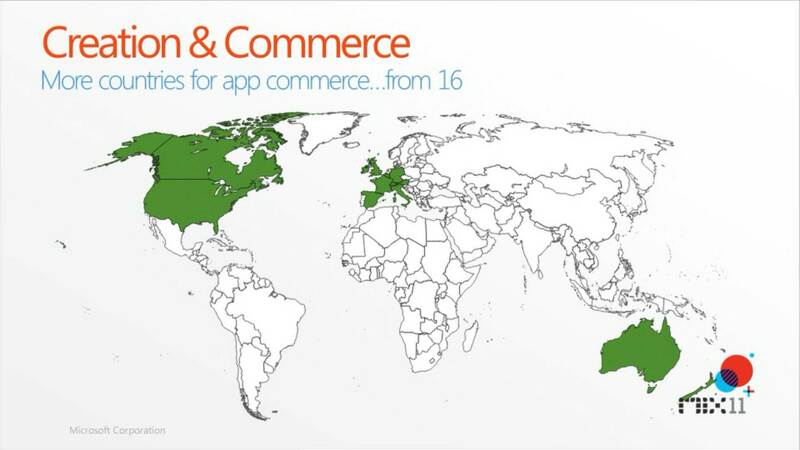 This map shows the countries where developers can register in the Marketplace. The current countries are green, the new are yellow. The list will grow from 30 to 38, which is quite small improvement to be honest, and surely a disappointment. Please correct my mistakes if you find any. This list grew much more, from 16 to 35. 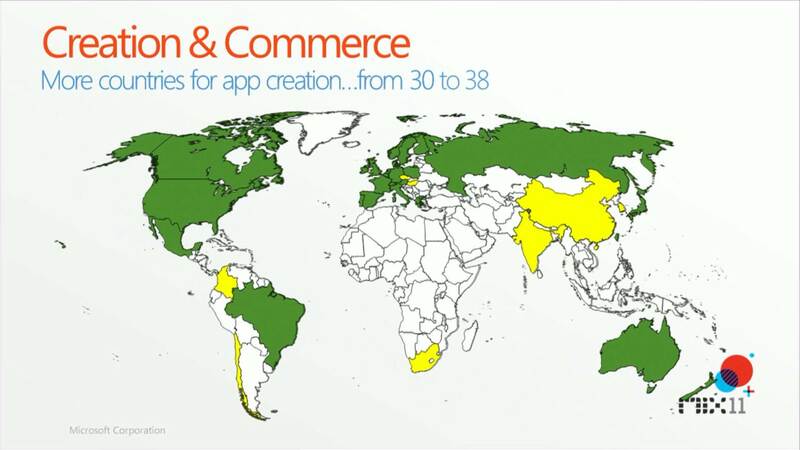 Joe Belfiore showed two maps – before and after the Mango launch – both in green. The interesting thing is that I have found 20 new green countries on the second map, not 19, as the slide title says, so take this with a grain of salt. Or are you able to find a mistake in my list? For developers this is good news – a great expansion of the market for their apps, although China is strangely missing. Still, India, Brazil, Russia, Japan etc. are welcome additions.